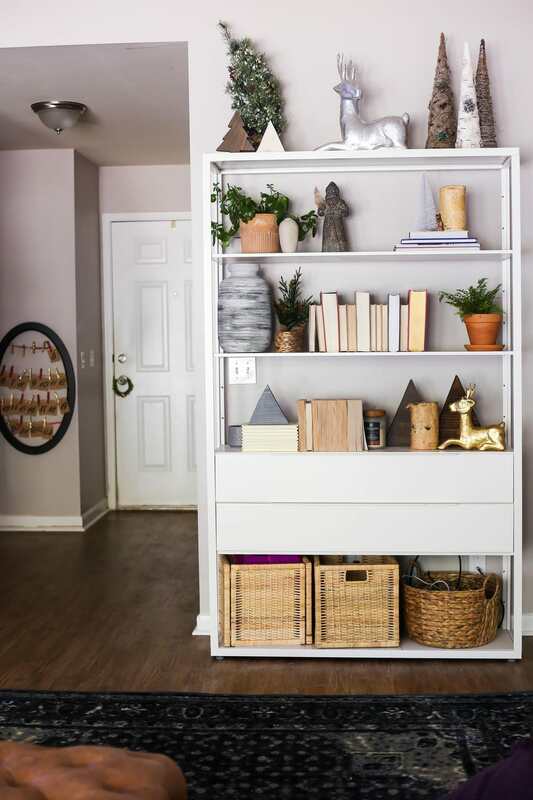 I say “home tour” like it’s going to be a post with tons of photos that are stuffed full of inspiration. 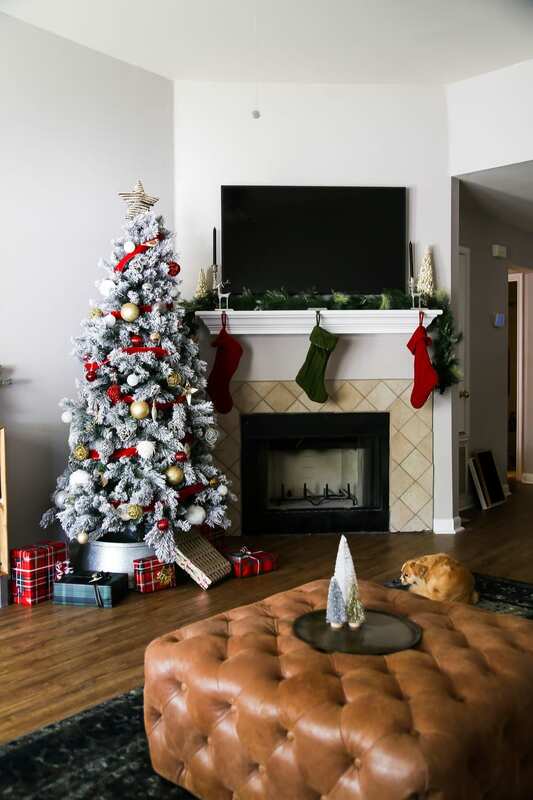 Let me temper your expectations a bit here: we moved into this house just under a month ago, and our focus has been less on decorating for Christmas and more on replacing the flooring throughout the house (you’ll see some good peeks today! ), painting the walls, and figuring out where the heck we put the extra toilet paper. Let’s just say Christmas decorating has been pretty low on my priority list this year. 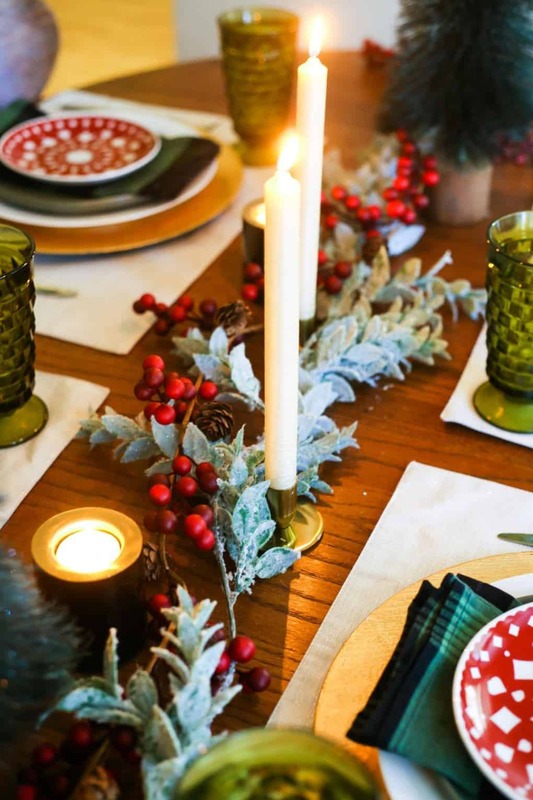 But, if you’ve followed along over the last few years then you’ll know that I’m a total sucker for Christmas decor – it’s my very favorite time of year and it just wouldn’t feel right if I skimped on the decorating or didn’t do it at all because of the chaos of the move. I love to make this time of year as magical as possible, and that means as many Christmas decorations as I can handle. This year, I can just handle slightly less than normal. 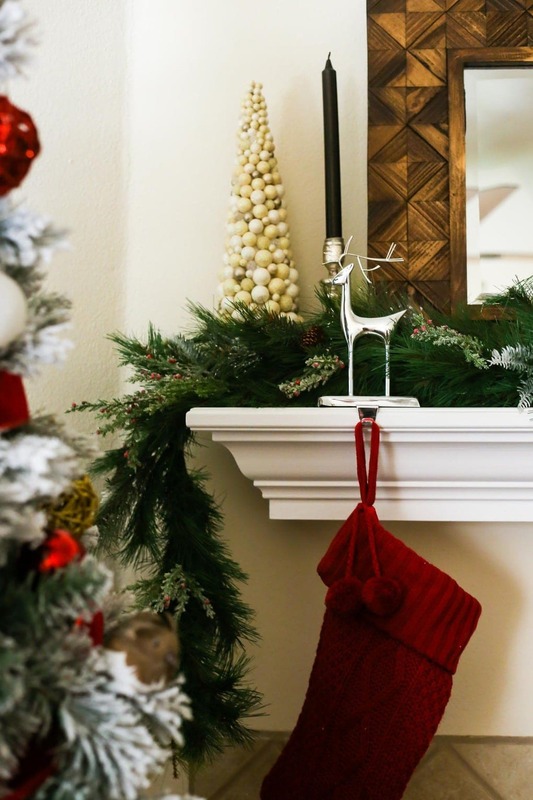 I’ve found that we’re going through an interesting transition with this home – it’s like I’m seeing a lot of our decor (not just Christmas, but general decor as well) in a new light, and I’m not loving it quite as much as I did in the old house. This is the first time we’ve made a move like this, so I’m not sure if this is typical, but I’m finding that I want to go for a slightly different look than we did in the old house. Much of our Christmas decor is stuff that we’ve just had for the last 6+ years in the name of having more decor (who cares if it goes together! I just want a lot of it! ), but as I pulled it out in this house I felt like it just added to the noise of this small little home. 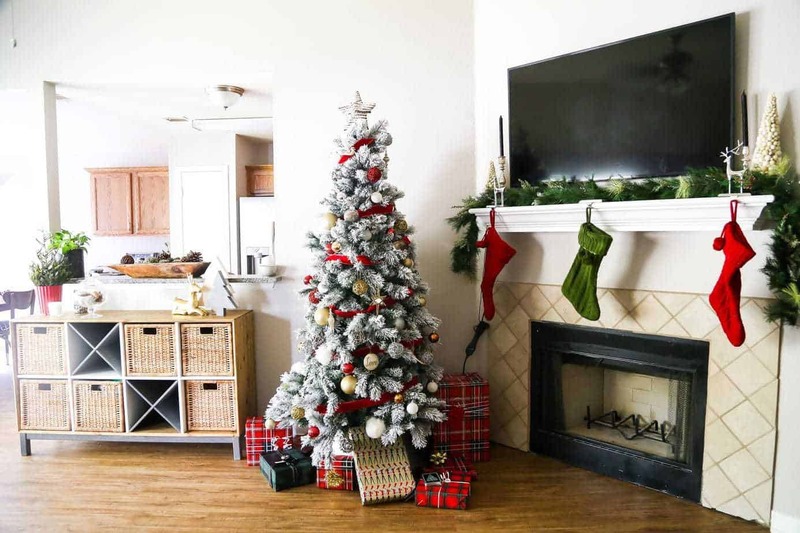 And maybe that’s the key – this house is significantly smaller than our old home, and that means that there’s less space to decorate. If I used all of the things we had in the old house, this poor little home would be stuffed to the brim and it might feel like one of those cheesy Christmas stores just exploded all over it. 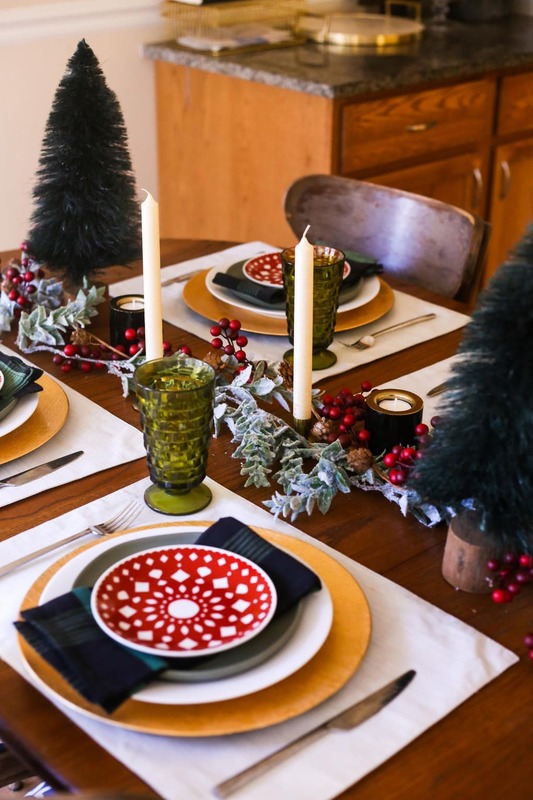 I think the key to making this home work for us is going to be simplicity and restraint. I’ve not always been good at that in the past. But, I love nothing more than to learn new skills, so we’ll figure this thing out together. Of course, there’s an exception to every rule. 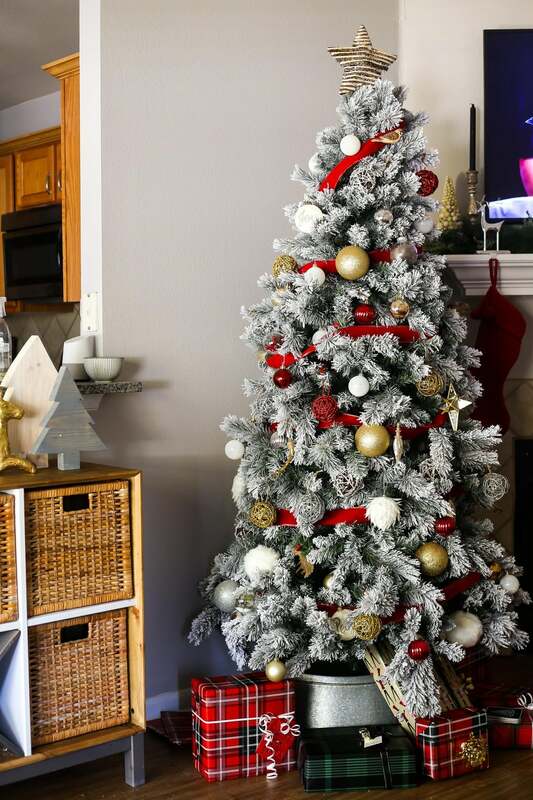 One thing I actually want to go the opposite route on for this home is our Christmas tree – the ceilings in this house are so tall (they were vaulted in the old house too, but where we put the tree, they were still close to normal height), and the tree just looks kind of sad and tiny. I feel like we need something with a little more height to really fill out the space. Plus, I’ve always dreamed of a giant Christmas tree. This is my chance, people! So, for next year we’ll be on the lookout for something a little taller. Or a lot taller. We’ll see. 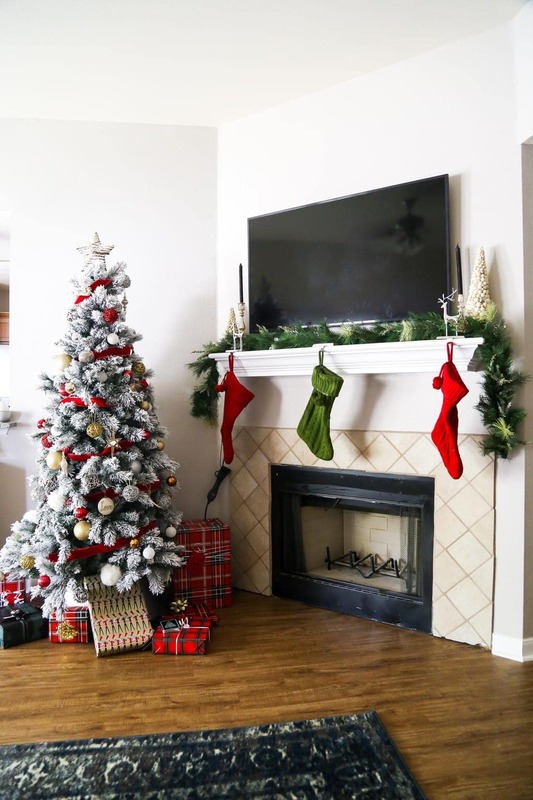 It’s been an interesting experience to learn how to decorate in this home with our Christmas decor. There aren’t as many surfaces to decorate, partially because we still need to get some things like an entry table and side tables for next to the sofa (that we got on Monday, but wasn’t here when I took these photos so please ignore the fact that you only see half of my living room). I’m excited to see the changes in the Christmas decor we use for this house throughout the years. 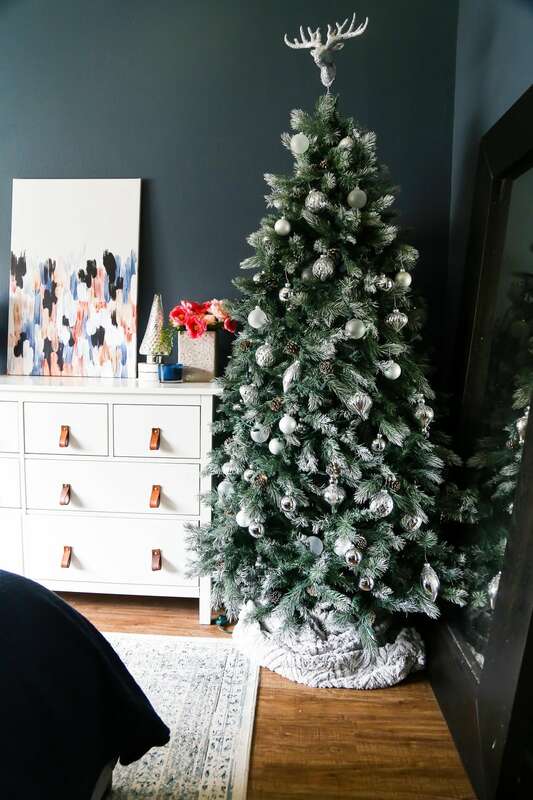 I picked up a few new pieces this year that I feel like are more along the lines of how I want to decorate in the future, and I plan to do a major purging of our Christmas decor after the season is over so that we’re only using the pieces we love, not just the ones we have. I don’t mean for this post to sound like a complaint about our decor. I love coming home to this cute little house all decked out for Christmas, and I think it looks beautiful. I’ve just been thinking a lot lately about how styles change and evolve, and how sometimes you have to let it happen slowly over time, even if you want to just throw everything out and start from scratch. The theme of this house for me right now is “the in-between” – and I’m trying to embrace that time spent between the “before” and the “after” as much as possible. I’m sure I’m not the only one living in the in-between right now, so this one’s for you – those of you who want things to be just a little bit different, but you’re trying to love things as they are anyways. I have a feeling that probably describes most of us, am I right? I know we’re all busy right now with holiday fun, but be sure to stop by throughout the week next week – it’s going to be absolutely packed with fun info and updates, like the details on our new flooring, a look at our new sofa, and how I managed to paint all of the walls in the main living area of the house in less than half the time it normally takes me to paint. You want to know about this, promise. Lovely home and a great tour! I love your tree, it looks amazing, not too much but very beautiful.